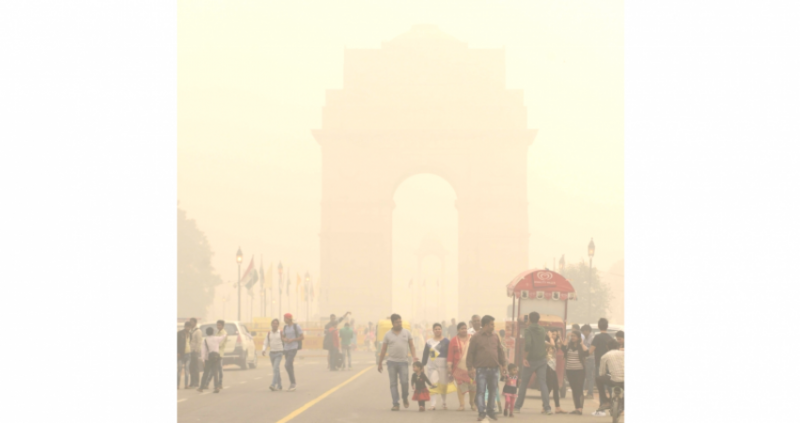 As the national capital and the region around it continued to suffer from "severe" level air quality since the past two days, weather agencies predicted improvement from Wednesday onwards. "The pollution level in the capital which was mostly in 'very poor' category for the past two weeks is now at 'severe' category only until January 2, 2018. It will slip back to 'very poor' from January 3 onwards," SAFAR forecast said. According to SAFAR, the Air Quality Index (AQI) during the period December 25, 2017 to January 3, 2018 remained roughly 50 notch points higher as compared to past two years, making it worse in three years. "Majority of the dense foggy days were concentrated during these 10 days (December 28, 2017 to January 3, 2018) whereas in previous year's foggy days were more scattered," SAFAR said. On Tuesday, the PM2.5 levels at 6 p.m. were over 13 to 14 times higher as per the international standards, Vasundhara in Ghaziabad (PM2.5 374 microgrammes per cubic meters) and Anand Vihar (PM2.5 344 units) in east Delhi were the most polluted regions across NCR. However, on Monday the PM2.5 levels were 21 times high.